Related: Rick Perry Signs Secret Nuclear Deal With Saudi Arabia Incredibly, Congress failed to anticipate a major loophole when it decided to charge US companies an even lower 10 percent corporate tax for profits earned abroad. Clearly, the lawmakers underestimated the labyrinthine workings of corporate tax for international companies. The tax avoidance guardrails put in place in the new territorial system don’t seem to be working. 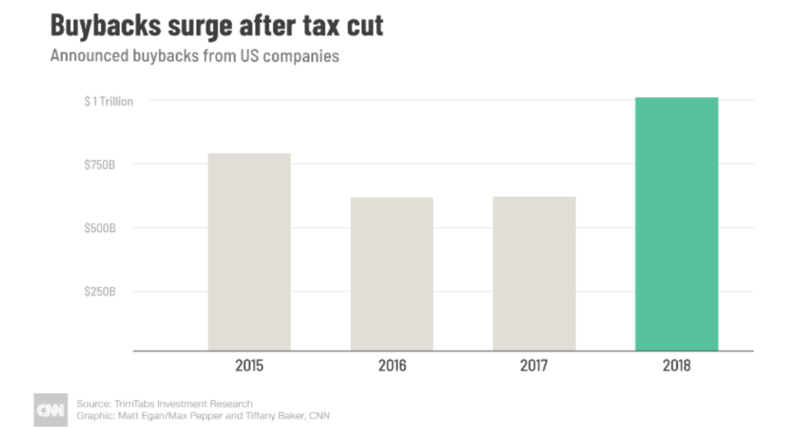 The result: American companies have been shifting their profits to low-tax jurisdictions to lower their tax bills even further. 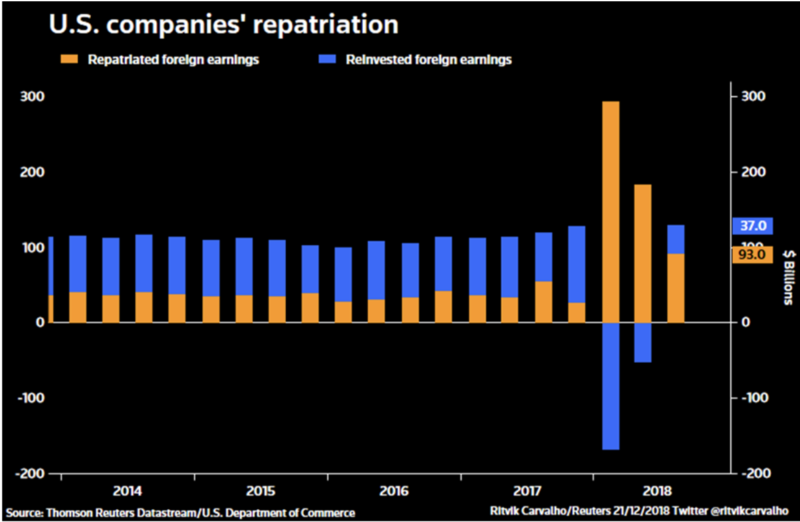 You can clearly see that in the chart below whereby reinvested foreign earnings have suddenly shot up.